Auan Meoungnon, Assistant of Jit MeoungnonTeam admit that Muay Siam reporter after he sent Pentai fight with Chaisiri for revenge in Jitmeoungnon War on May 24 at Wig Air that nobody can held this fight in the Meoungkrung boxing ring but Somjit can set them to fight on May 24 at Wig Air by ask Chaisiri from Mr.Bu and ask Pentai from Mr.Chun Kiattipetch because the agency give the honor to Somjit Wankeaw. Meoungkrung boxing fans can watch this match on 24th May and Chaisiri never lose anyone except for Pentai. Paeteng Kiatipontip was injured during training with Prakaipetch so he delay to fight on Saturday 26 April and I was assigned to order staff to check the preparedness of boxer, Jongsanan and Ittirit already because they training to fight too. 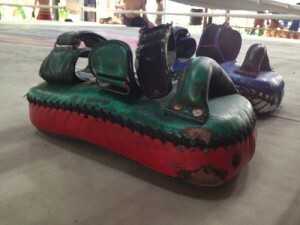 They not travel in Songkran Festivel but training for fight in Jao Muay Thai on May 29th at Aomnoi. He believes this fight will have a big gambling” Boat confirms. Jongsanan is good boxer , because he have the good kick . He always win by his left kick . Today his Muay Thai camp train the knee to him .